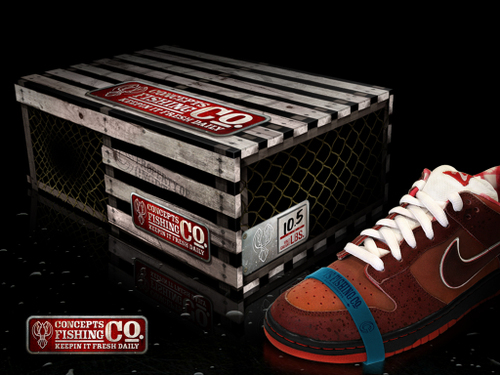 I came across these concept Limited Ed. Nike SB Dunks done by Concepts in Cambridge MA. and are by far one of the most original designs I’ve seen for a SB show so far. 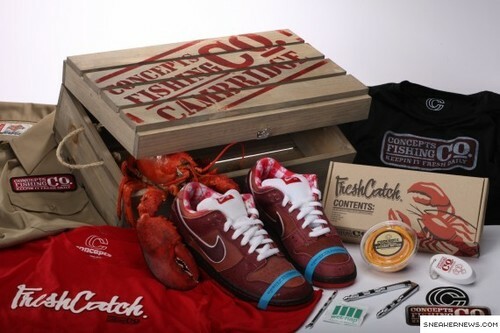 The inspiration came from the New England lobster and fishing community. I’ve found out a bit late seeing they were released May 31 but non the less these are FRESH!